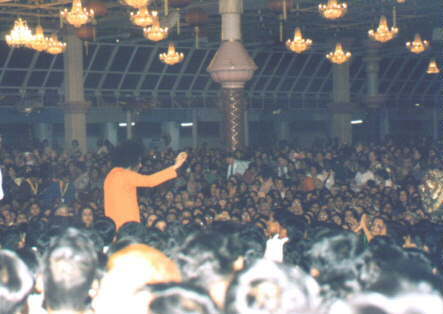 The following photos were taken during SHIVARATHRI celebrations at Prasanthi Nilayam during the night of March 4, 2000, where Swami manifested through His mouth a golden lingam. 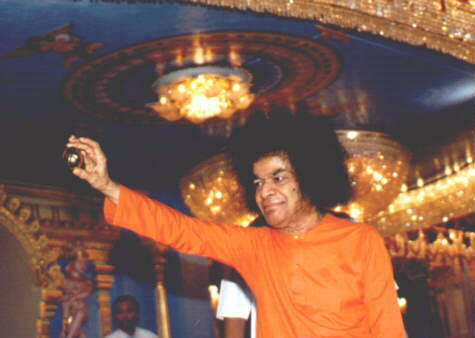 Swami then went around the Sai Kulvanth hall to show the lingam. Click on the photos to view larger versions. 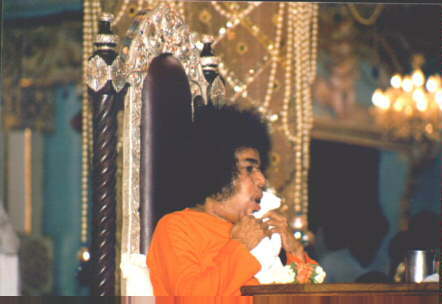 The principle of Hiranyagarbha is spread all over the body. It assumes a form when I will it. 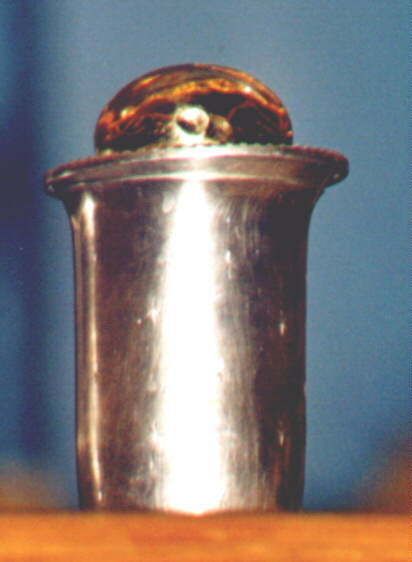 Whoever has seen this Lingam at the time of its emergence will not have rebirth. One should see its form as It emerges. 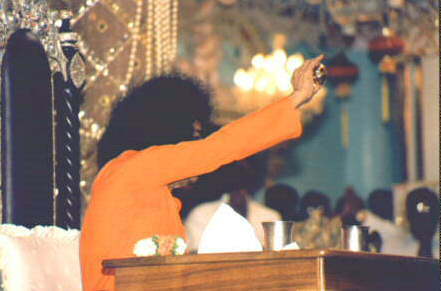 In order to sanctify your lives, such sacred manifestations have to be shown to you every now and then. 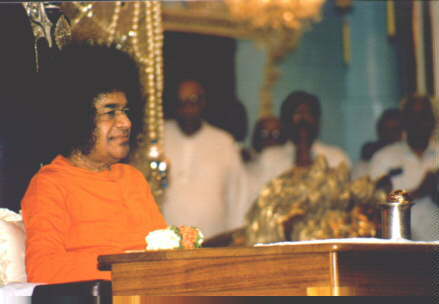 Only then can you understand the divinity in humanity. 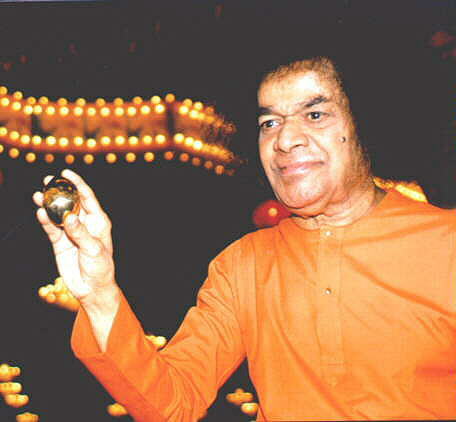 This Lingam will not break even if it is dropped from a height with force. 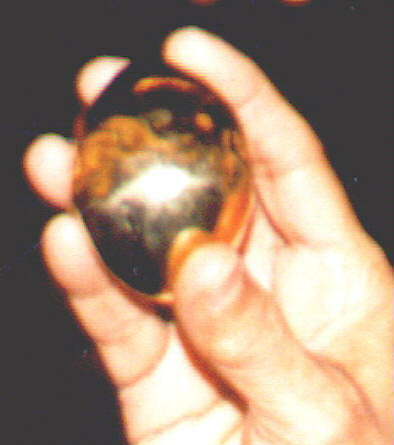 This is Amruthatwam (immortality). It is changeless. You cannot see such a manifestation anywhere else in the world. 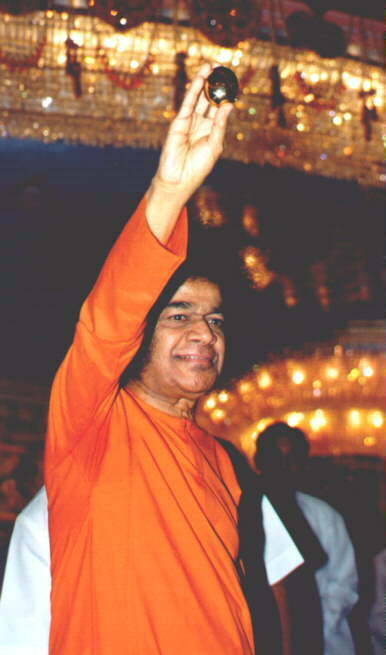 It is possible only with Divinity.